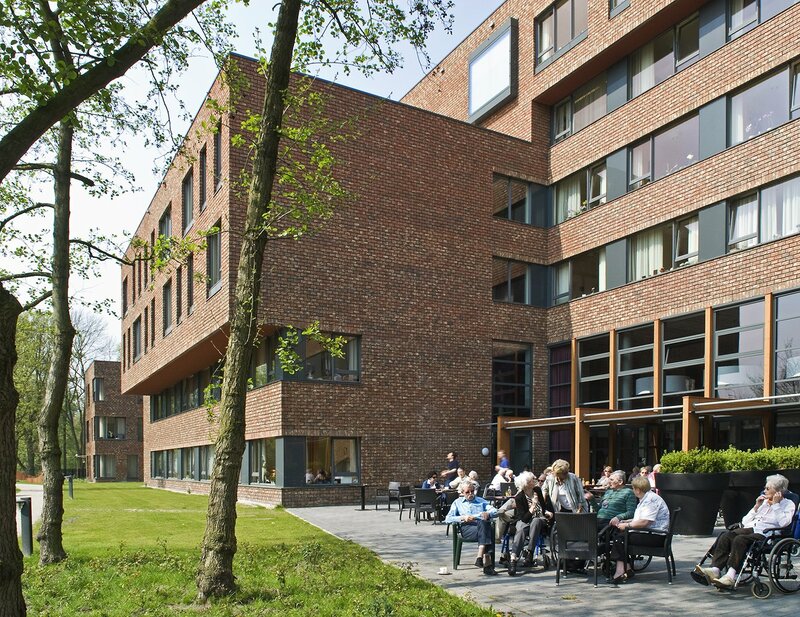 Vitalis WoonZorg Groep (Vitalis LivingCare Group) has nursing homes, rehabilitation centres and apartment complexes in different locations in Brabant and Limburg and offers services to seniors in the area of living, care and well-being. 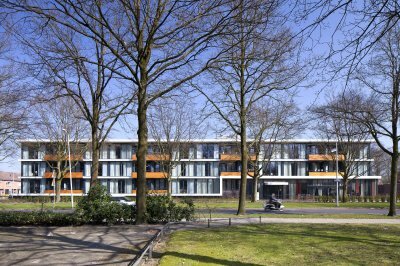 One of these nursing homes is De Weerde in the south of Eindhoven, built in 1966 for the long-term care of the elderly. Following the vision on care of those days, the residents were treated as patients, staying in a room with a number of other people. Privacy was not an option and hardly any attention was paid to day time activities. The primary purposes of the care institution were nursing and medical care. Around 2000, Vitalis formulated a new vision on care entitled Room for a good life, in which the wishes of the resident became the focus. Room should be made for homeliness and intimacy, but also for experiencing. That required innovative and facilitating forms of living which De Weerde could not meet. The building was demolished to make way for a new construction. 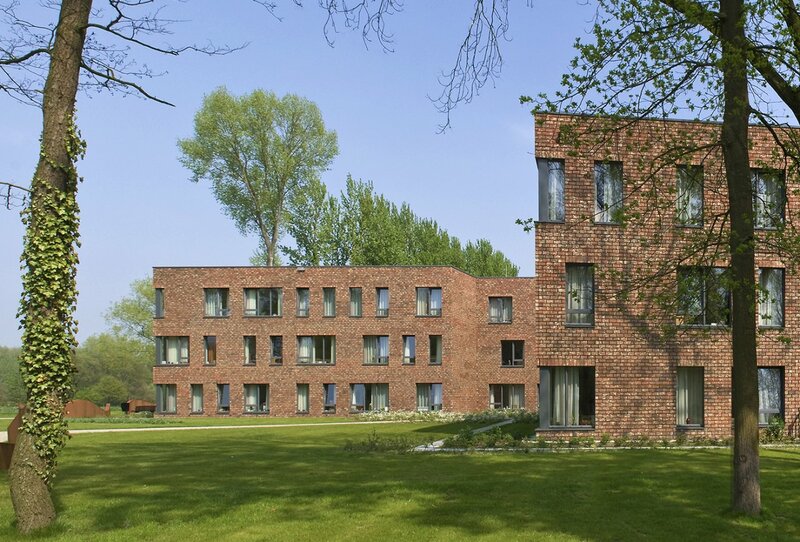 IAA Architects translated the vision on care into the concept of a homely building with the character of a hotel that accommodates a variety of services, care and living. 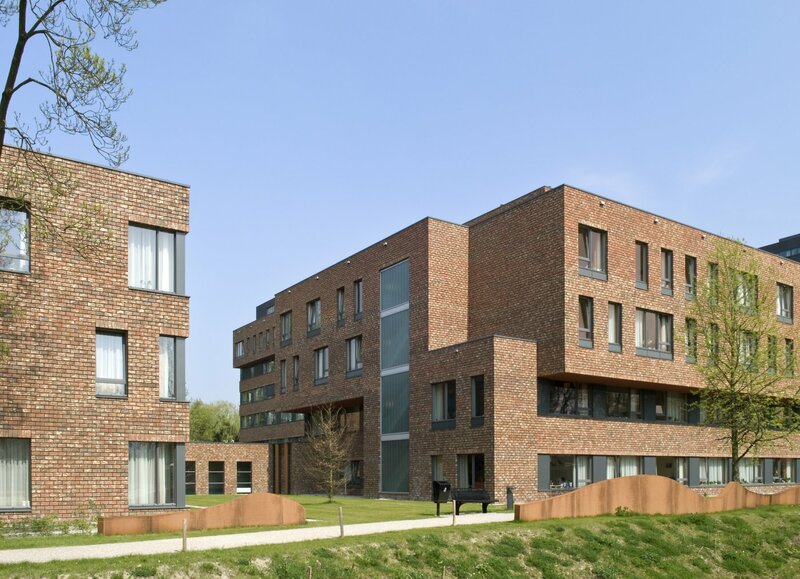 The new complex called Wissehaege is in its core a nursing home with 220 studio apartments for psychogeriatrics, somatics, rehabilitation, gerontopsychiatry and palliative care. The building accommodates a daycare, a day treatment centre and a children daycare for 12 children. 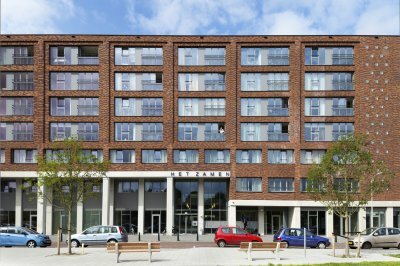 Adjacent is a residential tower with 39 apartments in the luxury owner-occupier sector with parking garage. The centrepiece of the Wissehaege is an impressive, over 16 metre high atrium, the vibrant heart of the place ensuring liveliness. 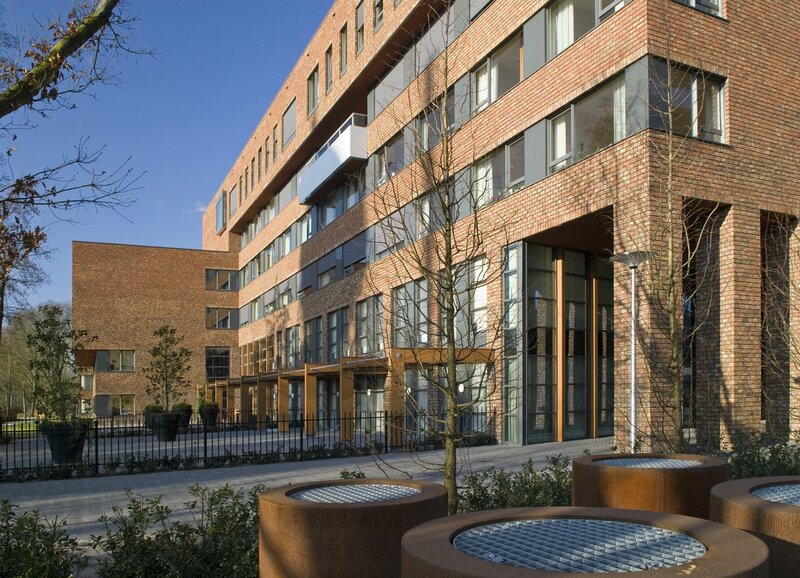 Most of the apartments are located around the atrium. It functions as a 'square' where all target groups and their guests meet and it lends itself perfectly for major activities and events. There is a restaurant, a grand café with outdoor terrace, a dental practice centre, a meditation centre and various shops. Galleries meander around the atrium at high altitude, really making the building come to life. 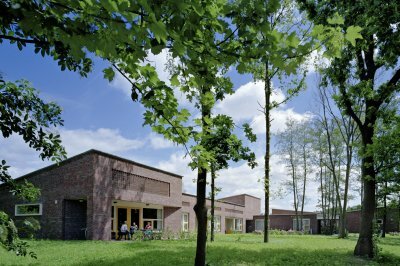 On the west side, Wissehaege consists of two three-storey pavilions, each with two households in which seven dementing elderly people live as in a family situation. Each has their own sitting-bedroom and there are a common living room and kitchen. The somatically disabled, mostly bound to bed, have their own sitting-bedroom adjoining the atrium, so that they can profit from most of the liveliness. 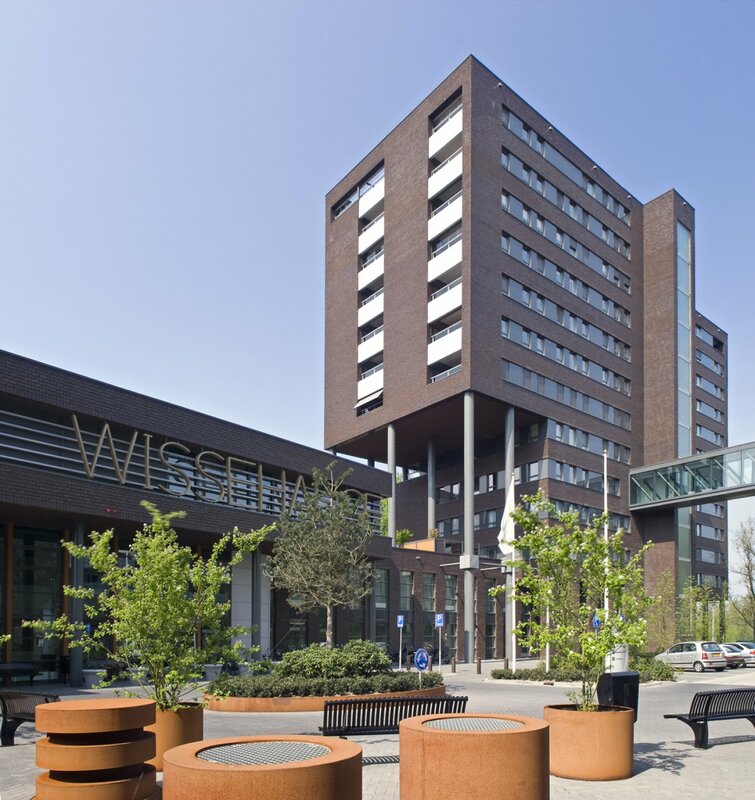 The patients who are temporarily admitted to Wissehaege for rehabilitation are provided with more sober accommodation close to facilities such as physical therapy.